It's also 13 Amp Plug & Play - meaning you can plug it straight into a outdoor plug socket without having to make major changes to your electrics. 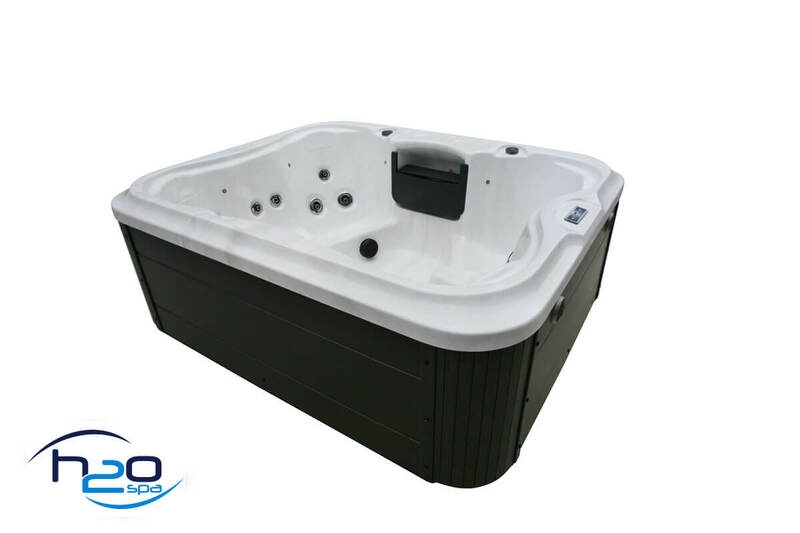 New for 2019, the 2000 Series is a fabulous hot tub for those who prefer internal space over a lounger seat. Removing the lounger allows you to fit 4 adults in comfortably and the fifth seat is desined ideally for a child/junior making this a great family spa. 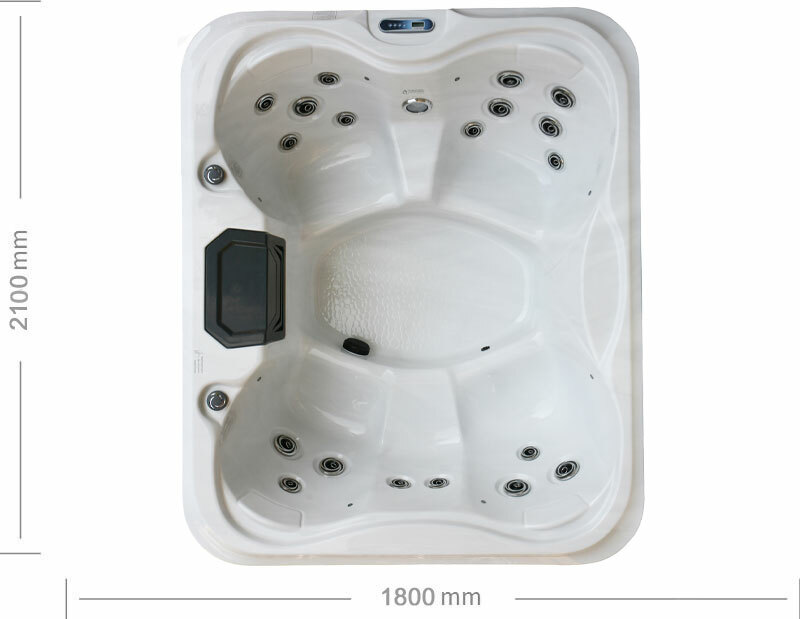 Although this spa is bigger than its sister spa, the 500 Series, the height of 800 mm is still the same - making this ideal for installation through narrower access. 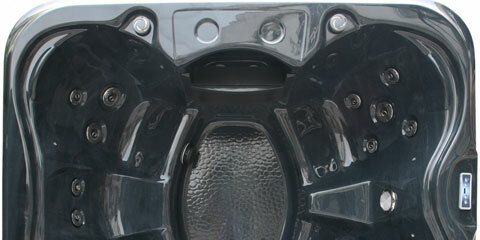 It measures 2100x1800x800mm meaning this is a compact but powerful little hot tub. 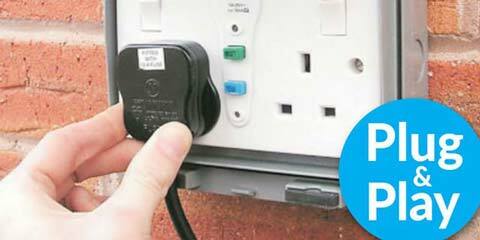 13Amp Plug & Play means installation is a breeze, as no alterations to your home electrics are needed - just an outdoor waterproof plug socket. 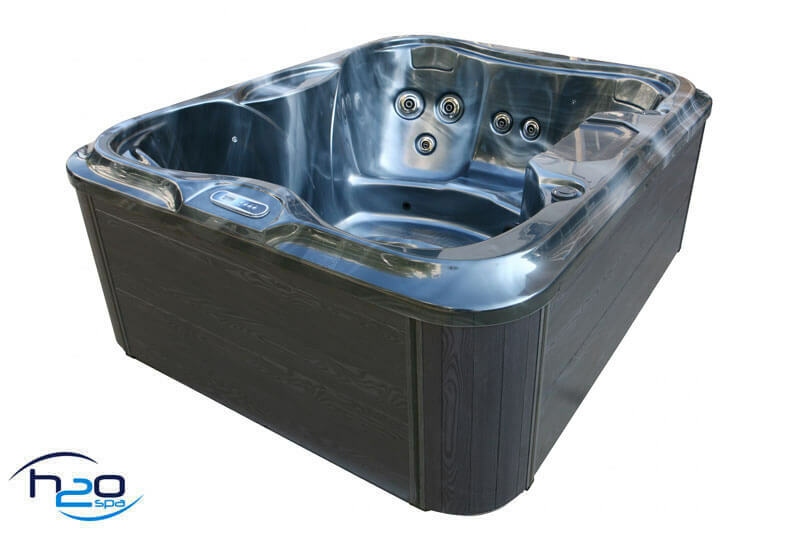 Features; the 2000 Series is packed with a great selection of jets and even though its a cheap hot tub comparitively, it still has the all new aluminium frame - plus the same high quality hydrotherapy jets that are used in our higher end models. Also included is colour-phasing LED mood lighting and Bluetooth audio - so you can enjoy endless nights looking the stars whilst enjoying your favourite music or podcasts. 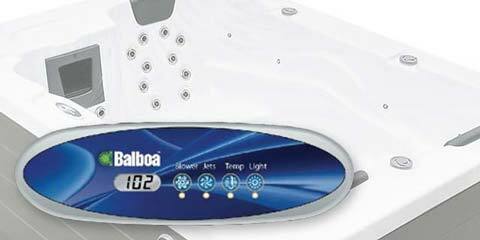 The 2000 Series features balboa® controls, which are widely recognised across the industry as being class-leading. 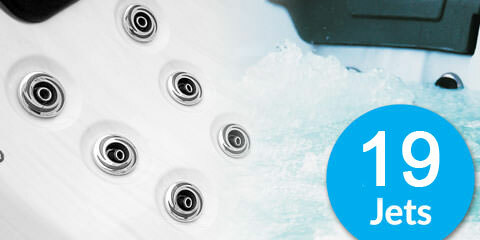 BALBOA® are the world's best hot tub controls company and are used globally, so you can be assured of reliability and quality. 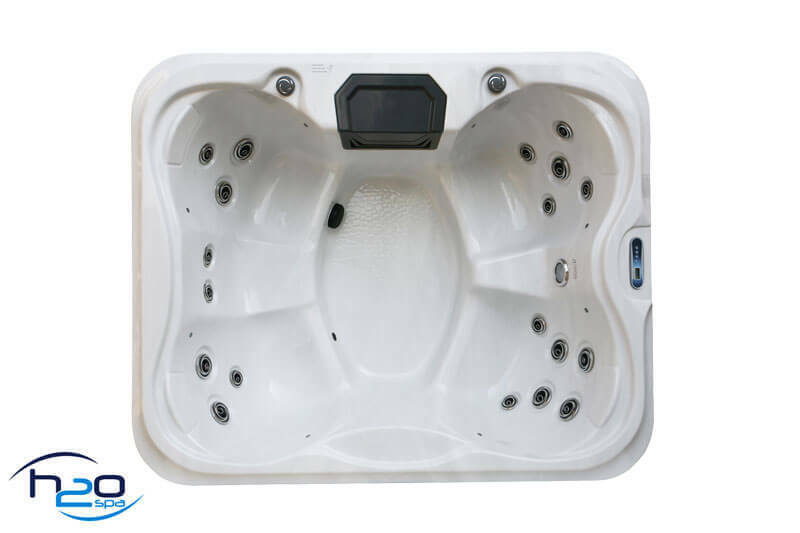 The 2000-Series will comfortably seat four peoplein a variety of seats with different hydrotherapy jet arrangement. Working different areas of the upper and lower back. 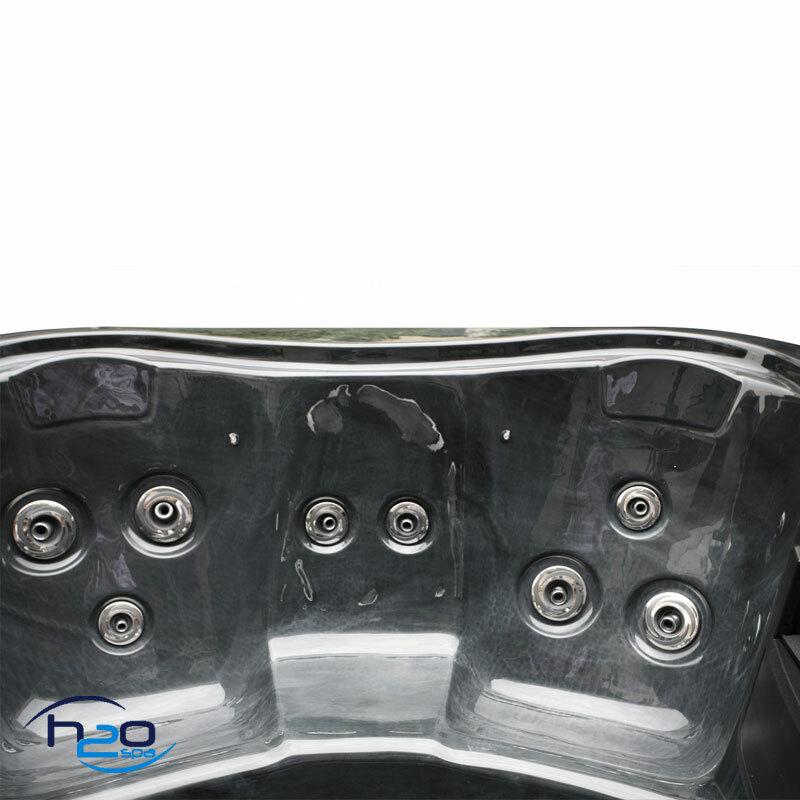 This hot tub features 19 hydrotherapy massage jets, giving you the powerful massage you need after a stressful day. 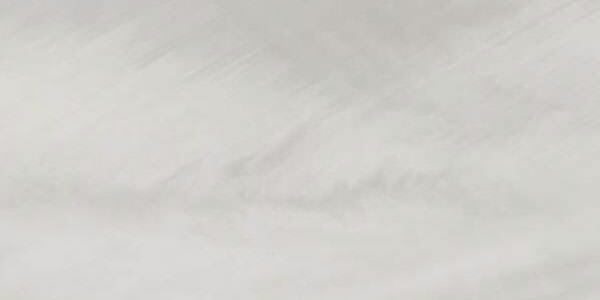 Small but mighty. The 2000 Series is a 13A plug and play spa, meaning you can connect it to any outside mains socket and use it immediately, with no need for electrical modifications to your property. 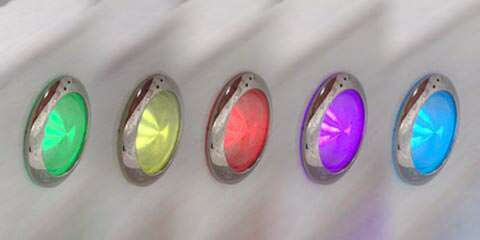 The 2000 series is installed with the latest LED mood lighting, no matter what your mood there is a setting for it. 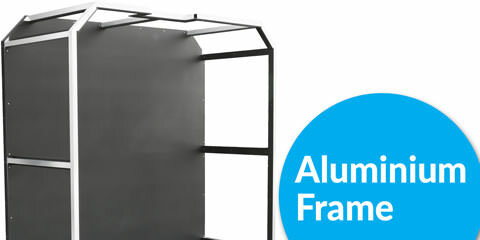 With up to 10 different sequences from strobe to fade you will love the flexibility this feature. The 2000 series maybe affordable but we have still managed to squeeze in a Bluetooth music system. 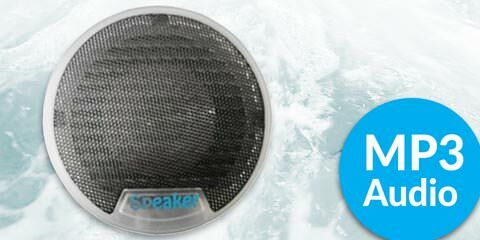 You will be blown away by the quality of these little speakers, connection directly via bluetooth form Iphone/Ipad/Android. The 2000-Series will comfortable seat three people in a variety of positions. For those looking to lay back and relax with a hydrotherapy massage, the lounger seat is the perfect place to be. The 2000 Series features Balboa controls, which are widely recognised across the industry as being class-leading. 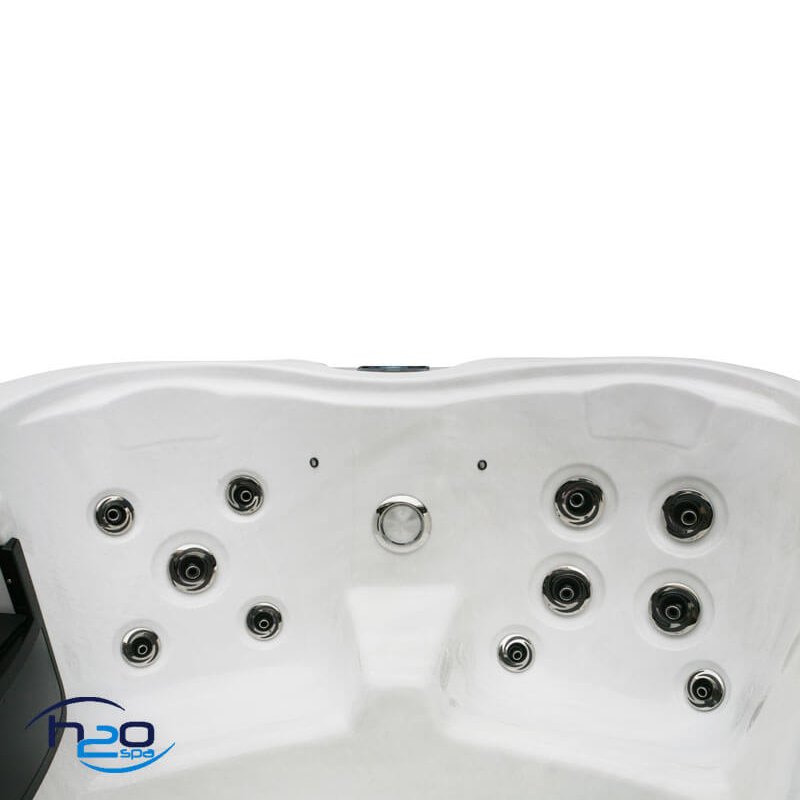 Balboa are the world's best hot tub controls company and are used globally, so you can be assured of reliability and quality. Had this about a week and must say the value for money is fantastic. 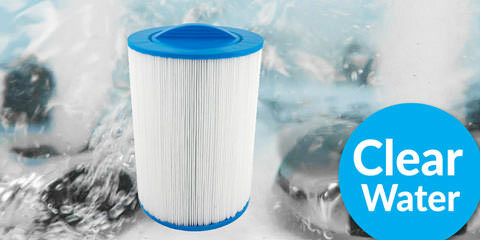 Great customer service, Great delivery guys, Amazing product. For anyone looking for a spa don't look no further! 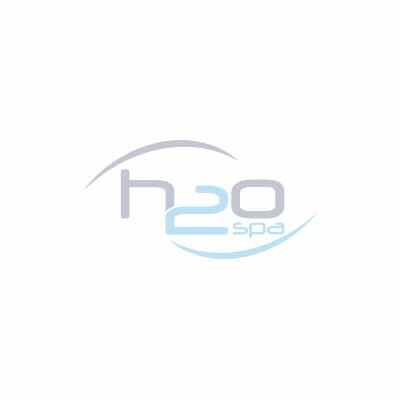 No complaints at all, great hot tub for the money, really easy to use and the guys at H2O's showroom and the delivery guys were really friendly, happy to recommend. Fantastic tub, been in it every day since it arrived! 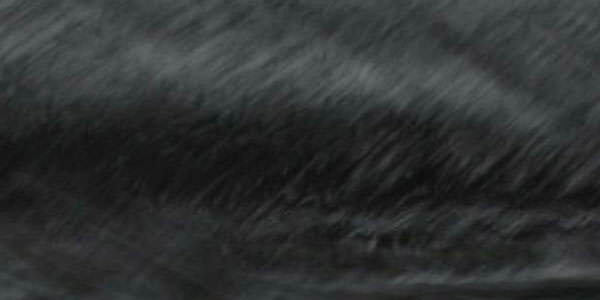 Great value, really high quality and very happy.